This is the sound of something different: headphones with a shape inspired by hearing aids, from a company focused on providing hearing aids to needy children. Westin Bye and Cooper Buss have been friends since fourth grade who have long talked about starting a company together. Bye, a mechanical engineer, and Buss, with a background in retail, wanted to do something cool, but they wanted to make sure their company had a bigger purpose as well. Enter Bye’s father, who has worked in the hearing aid industry for years. “They were dabbling in headphones,” Buss says. And then a lightbulb went off. 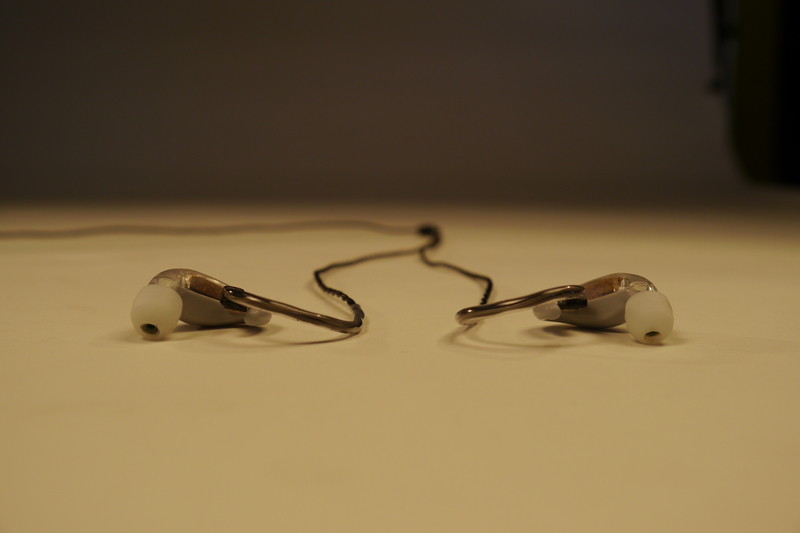 Meet Life Acoustics and the company’s first offering, the LIFE Headphone. “You haven’t seen headphones shaped like ours before because they don’t exist,” Buss says. The patented shape is curved to fit into the wearer’s ear like a professional musician’s in-ear monitor, hugging the crevices and contours and making it near impossible for the headphones to be pulled out during use. Speaking of the cord, it’s attached to the front of the headphone and comes out parallel to the wearer’s head, and has a Y-shape to it, providing full range of head motion for the wearer. Should the cord get pulled, the tension is directed in an angle that actually anchors the headphone into the wearer’s ear. He adds that the headphones are wired because they didn’t want to compromise the high-fidelity sound of the headphones, noting that there isn’t enough data available via Bluetooth to send the same quality sound without compressing the audio. For every pair of headphones sold, Life Acoustics can support a hearing aid given to a needy child for two months. The hearing aids are powered by solar energy, giving them a longer life in areas where the nearest drugstore might not stock the impossibly tiny and sometimes hard to find batteries used by standard hearing aids. Life Acoustics has teamed up with an organization in Arizona that takes several tips each year to a town in northwestern Mexico and distributes hearing aids to children. Partnering with Ayudame a Escuchar– Help Me Hear—means creating a longterm relationship with people who come from hundreds of miles away to get help for their children, who are otherwise unable to interact with people. Bye’s father has been involved with the organization that works with Ayudame a Escuchar and makes trips several times per year to donate hearing aids and also make sure the ones already in use are still working properly. Now Life Acoustics is hoping to deepen and extend that relationship as they see some success. “Being a social business is a dream,” Buss says. Right now, they’re capable of giving away two months’ of support in the lifespan on the hearing aids. “We’ll see what the future holds for us,” Buss says, but they’re hopeful things will continue to improve. To get your own pair of LIFE headphones, go here. Ursula Bollinger liked this on Facebook. Life Acoustics liked this on Facebook.